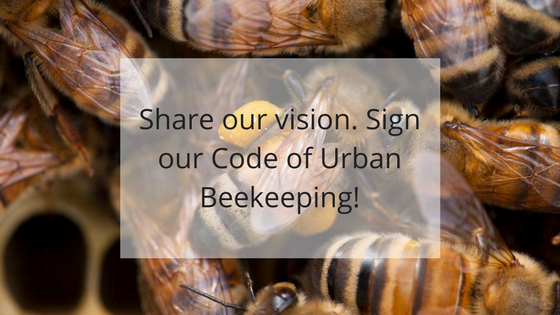 bees and biodiversity in the city, as well as support to the beekeeping community. 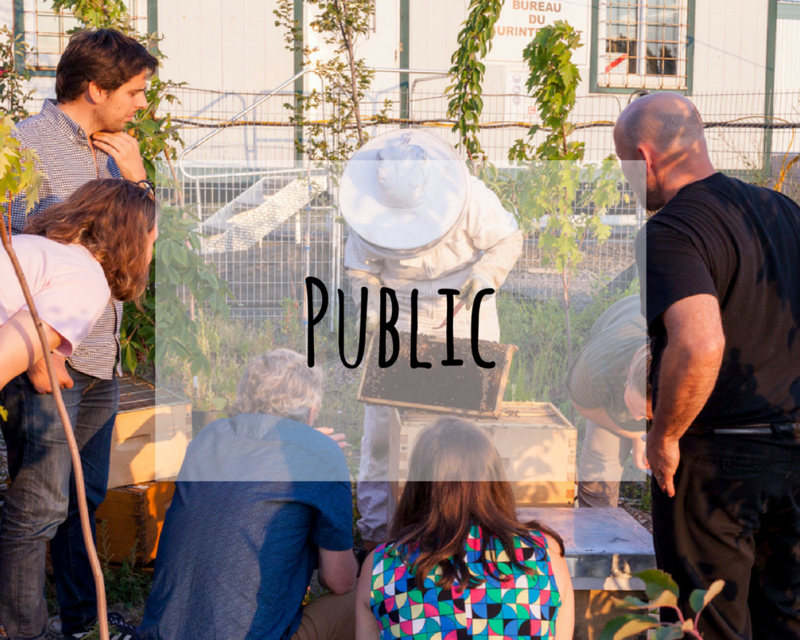 Whether to discover the wonderful world of pollinating insects in the city or to strengthen existing expertise, Miel Montreal has what you need: animations for all ages, beginner and advanced workshops as well as training, both in class & in the field. Share your experiences, doubts and successes. 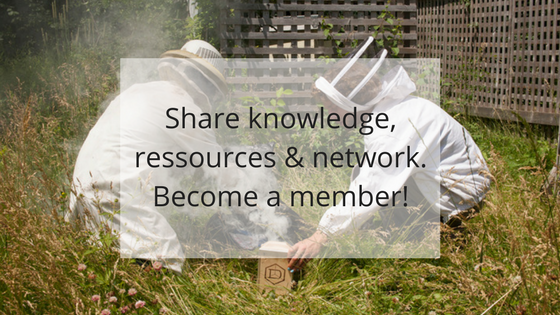 Mutualize resources and knowledge. 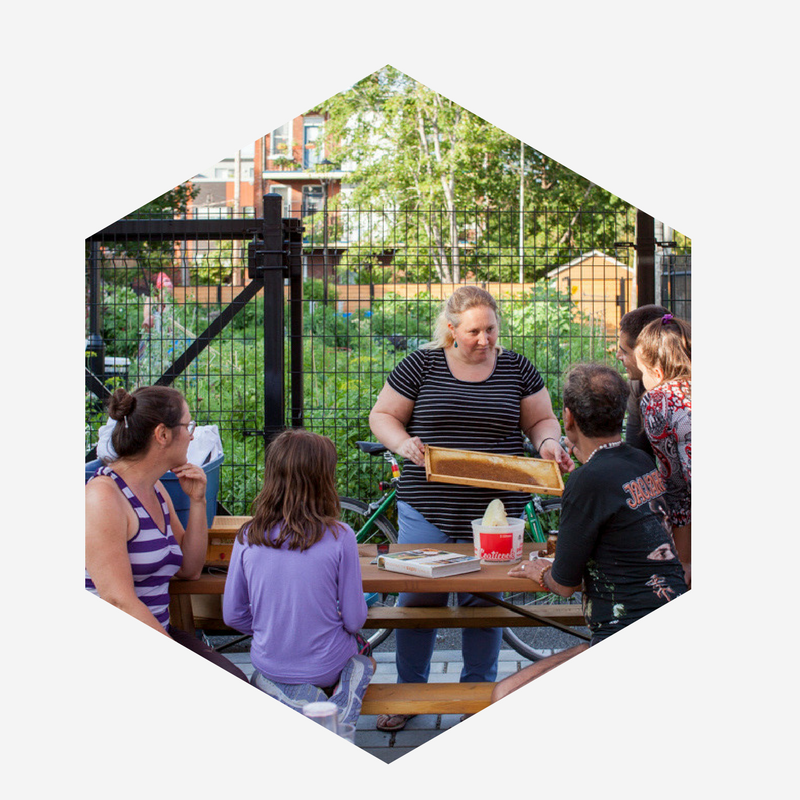 Enjoy a honey or mead tasting with the rest of the community. 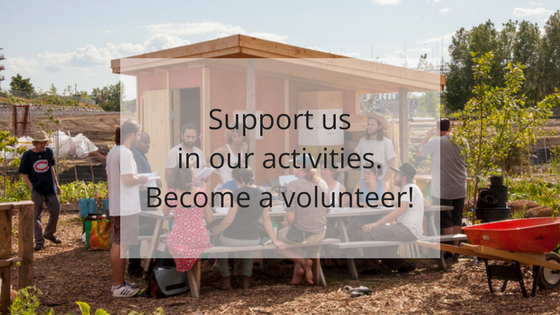 So many opportunities to make beautiful encounters, whatever your experience in beekeeping and urban biodiversity. 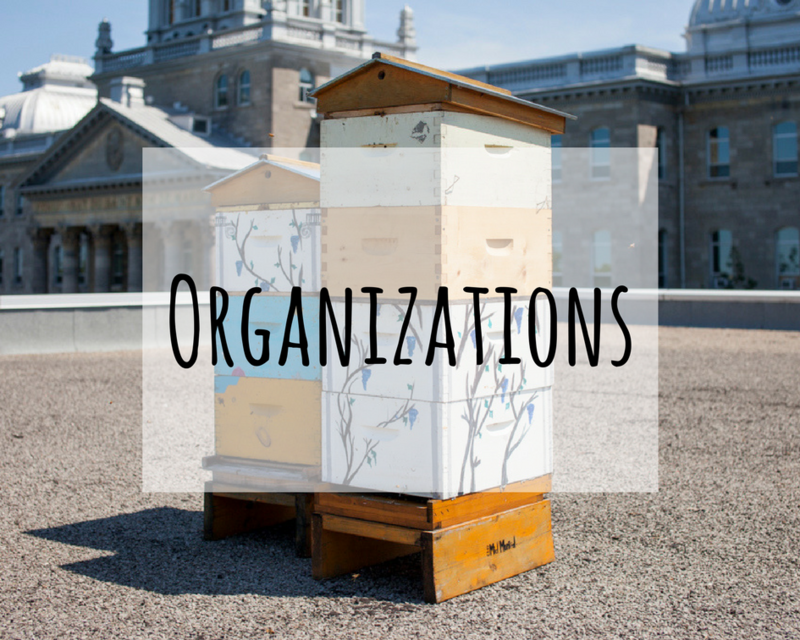 Whether you are an individual, an educational institution, or an organization, Miel Montreal offers different formulas to support you in your approach to sustainable and responsible urban beekeeping, in the respect and promotion of biodiversity in the city. In Montreal, the swarming season takes place around the end of June. We invite you to learn from now on how to manage this situation. This means understanding what is a swarm of bees (and not wasps) as well as developing the right reactions. They are very simple: do not disturb bees and contact Miel Montréal via info@mielmontreal.com! 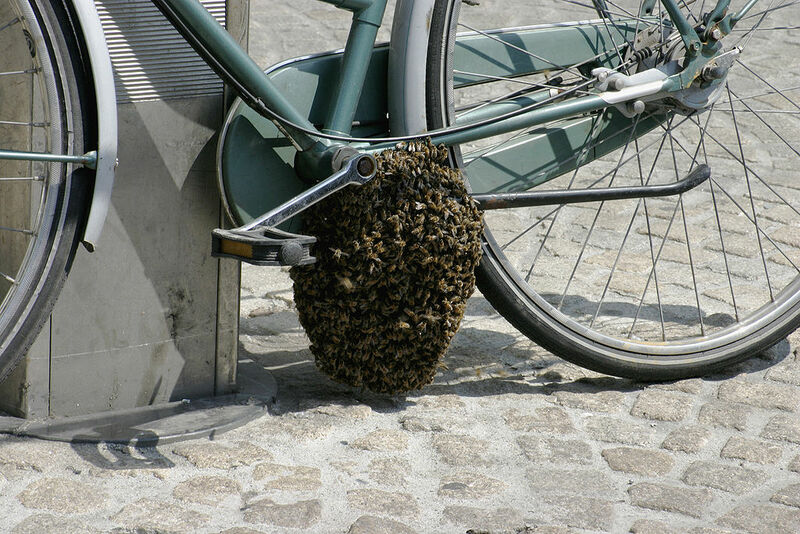 Know that bee swarms are not virulent. 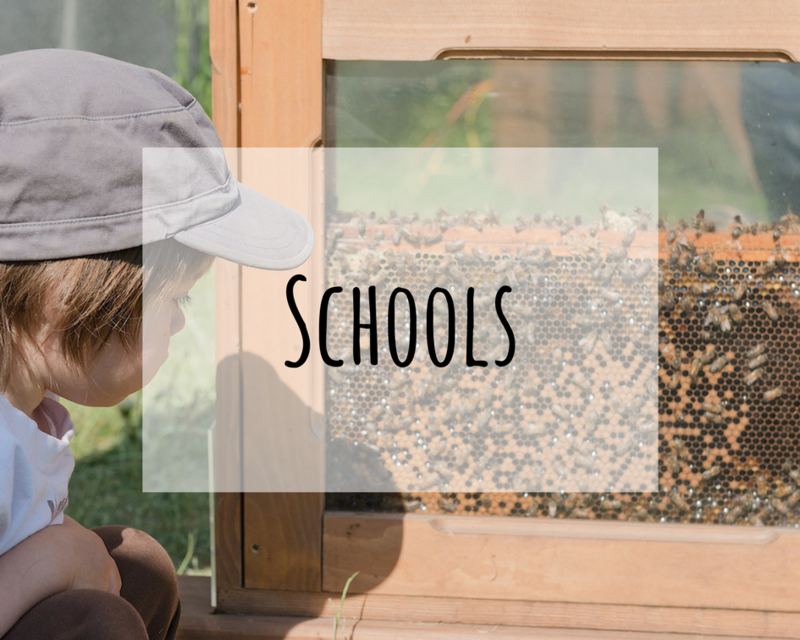 Learn more about swarming. Crédit Photo : Manoushka Larouche, Samuel Cogrenne, Alexandre Gillez.